You can hardly turn on a television these days without seeing a segment on obesity in the United States. Obesity is at an all-time high, and most shocking of all, this condition is rampant in our children. This is due to a combination of a poor diet and a sedentary lifestyle. So…how could exercise be a bad thing? It’s important to keep in mind that anything, even exercise, can be harmful when it becomes an addiction. Women and girls with anorexia have often felt addicted to exercise and those with bulimia may rely on extreme exercise as a purging technique. 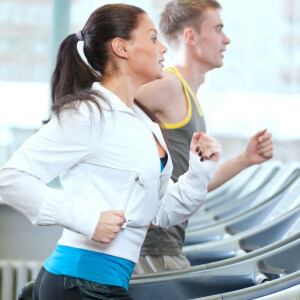 Indeed, the term exercise bulimia has been attributed to this compulsive need to exercise. Ask anyone at a gym or health club: do you have a member who seems addicted to exercise. The odds on favorite is that they will not have just one, but many. These individuals drive themselves far beyond what is healthy, spending hours on a stair stepper, elliptical or treadmill. They set very high physical goals for themselves and they “must” satisfy those goals…or they are bad. This regimen remains unchanged despite illness, social obligations or even physical maladies such as a bone fracture. In these days of body perfection, boys and men are no longer immune. They, like their female counterparts, are feeling incredible pressure to be cut, shredded, buff, and possess six-pack abs. The stress on young men to obtain some idealized version of a great body is huge. Today, many boys go to great lengths to achieve that desirable physique, including taking dangerous steroids or supplements, working out far beyond what is reasonable, and embarking on bizarre diets. Remember…Moderation is the key to most things in life, including exercise. Your body is an amazing gift from God – please take good care of it. It is the only one you will ever have. Please seek professional treatment help for any eating disorder. Published on April 20, 2012.